WestinStJohnRentals.com is a website that brings together verified owners at the Westin St John and potential renters of one of the most beautiful resorts in the world. Our goal is to provide a very affordable way for verified owners at the Westin St John Resort to accurately market their Westin St John villa rentals. See the Units Available Now! We do not charge a commission on any Westin St John rentals, so prospective renters can get the best deals possible, directly from the owners. We also have some of the most detailed descriptions of the villas at the Westin St John Resort. Please be sure to see the building details under the Villa Details tab. We show renters exactly where the villas are so they can make intelligent decisions. 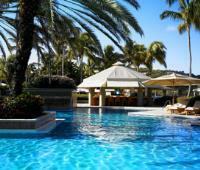 On some of our pages, we provide the "Inside Scoop" on some aspects of the Westin St John Resort. These tidbits of information have been gathered by veteran WSJers that newbies can use for their benefit. 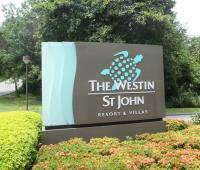 Also, see our pages on Westin St John Dining, Activities, and Grocery Shopping. Our Travel Ideas page is where you can read travel tips, stories, and maybe share some of your own Westin St John timeshare rental experiences! Potential Westin St John renters are welcome to post their desired weeks, so Westin St John owners, please check out the Weeks Wanted page to see if anyone is looking for your week! This is a free service--please spread the word! We also allow owners who are looking to do a swap to post their desires and see if any other owner wants to swap with them, see Owner-Swaps. This is another free service we offer to fellow owners at the Westin St John, so please let any fellow owners know about this! Please note that WestinStJohnRentals.com does not rent timeshare weeks, nor are we a Real Estate broker. 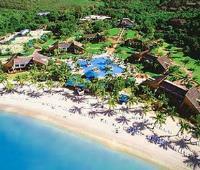 It was started by owners at the Westin St John that were looking for a way to effectively market their weekly rentals at this phenomenal resort. Attention owners looking to give up ownership of their Westin St John weeks. Before you consider deeding your week back to the resort, email us to see if we have any buyers. Be sure to tell us what you own and YOUR RETURN EMAIL ADDRESS.